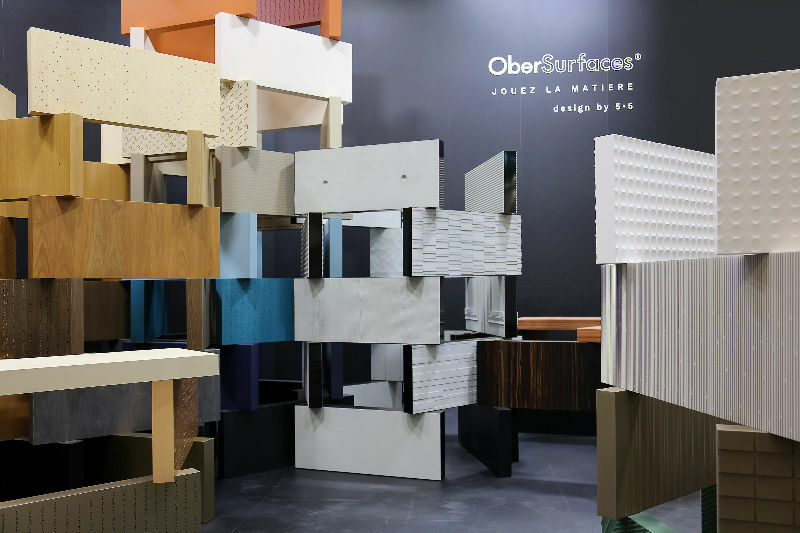 Designed by the 5.5, "Play the surfaces" is Ober Surfaces' new leitmotif in the scenography staging of its various collections. 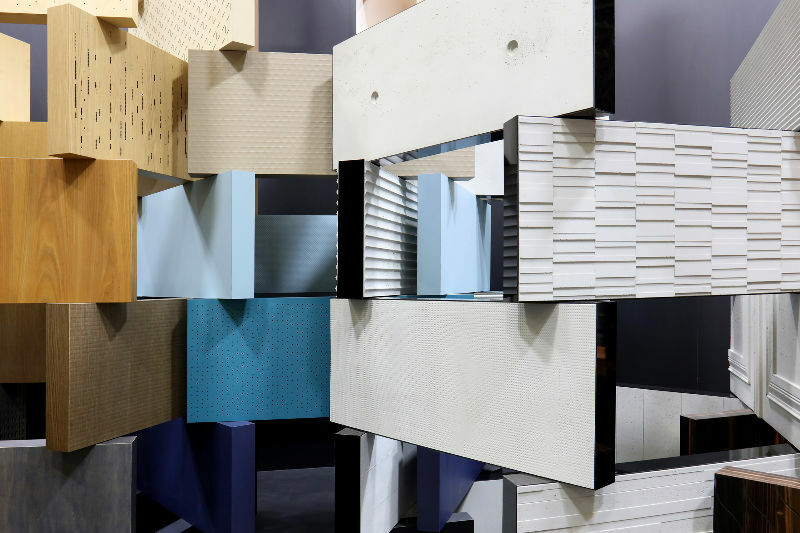 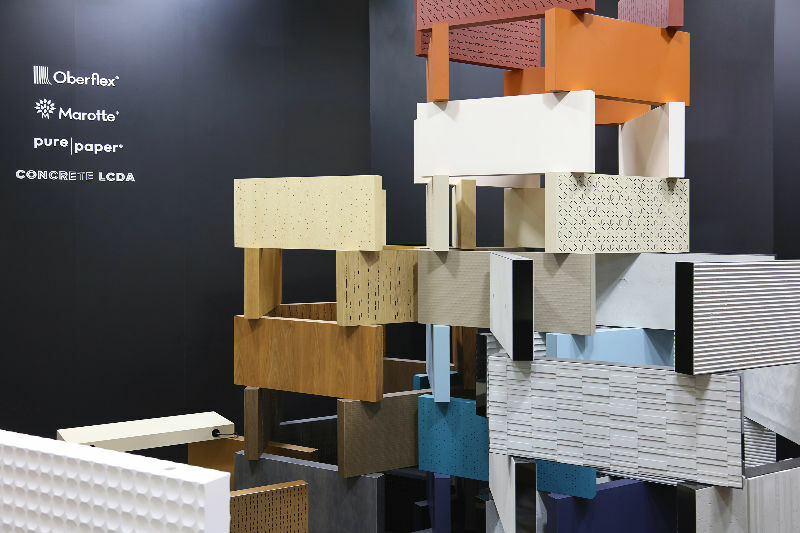 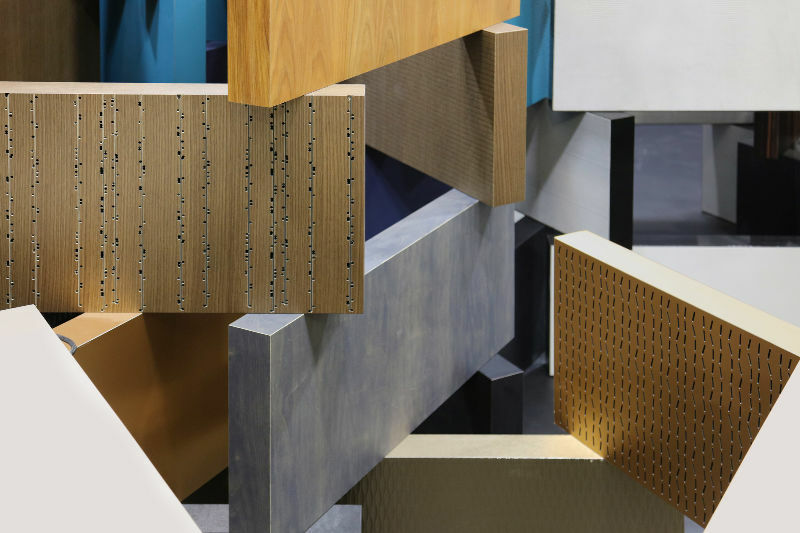 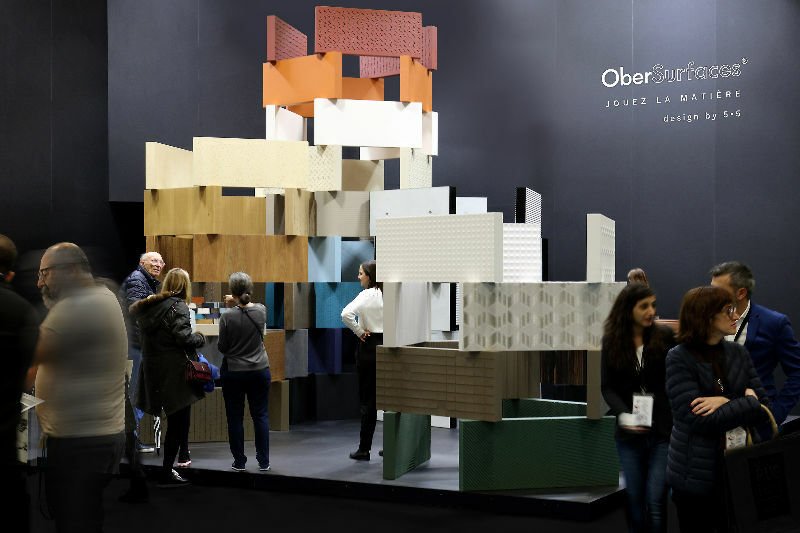 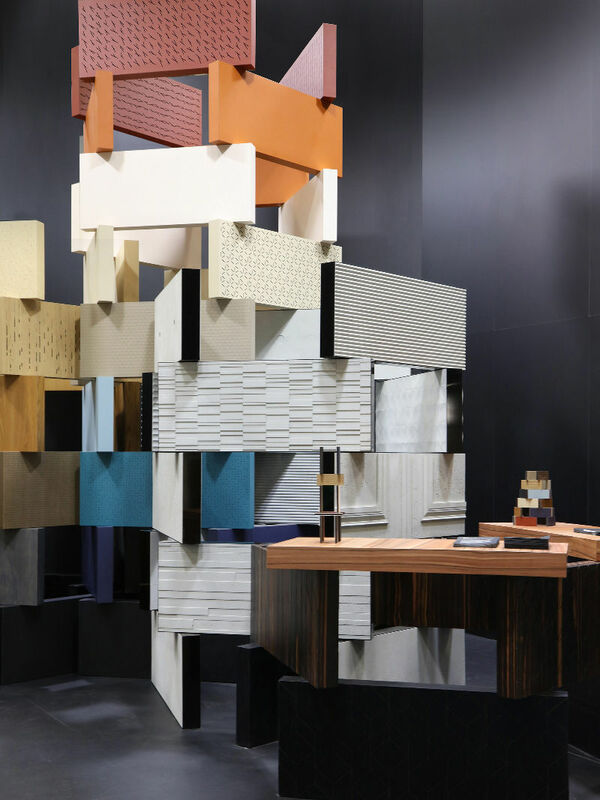 In an inspirational and spectacular display, designed like a gigantic construction set game at an architectural scale, viewers can discover the diverse collection range of Ober Surfaces products and are welcome to appropriate, combine, mix and match them and engineer bold arrangements in their space design projects. 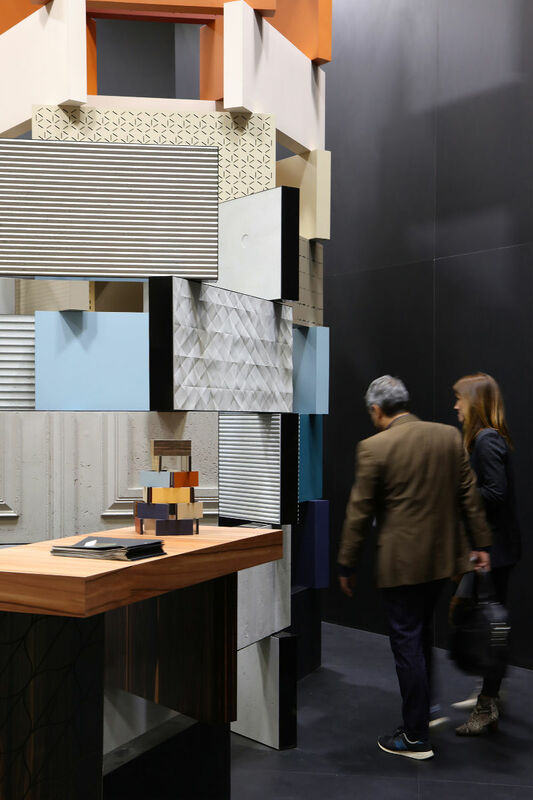 Before this project, each new presentation required the production of unique panels, which created a huge loss of material and energy. 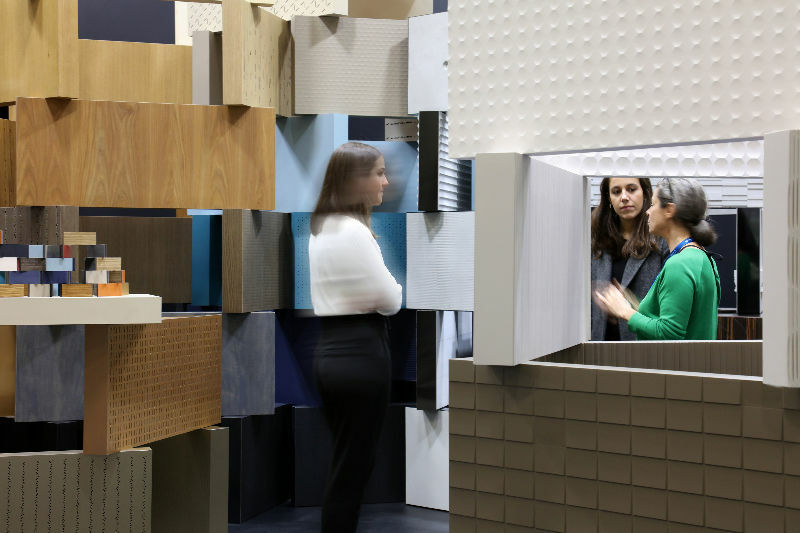 To solve these ecological and economical issues, we had to think these presentations in a different way, by creating unique experiences without the need to produce new panels for each presentation. 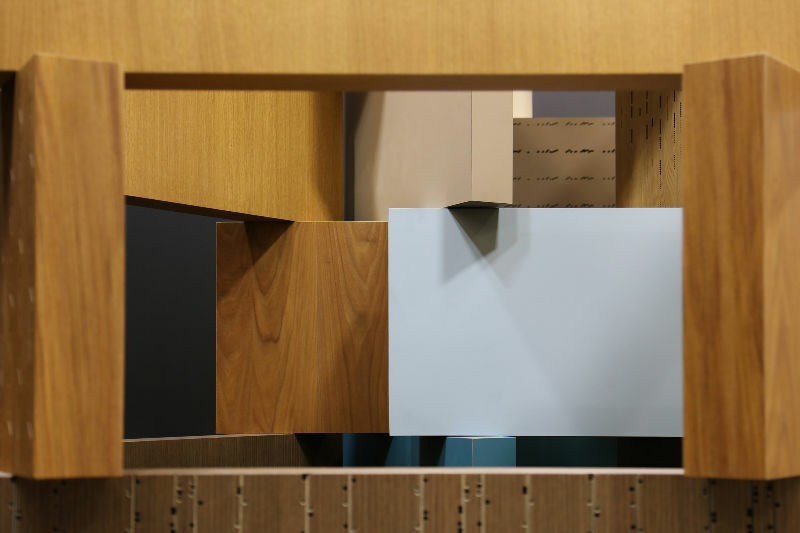 Our solution, "Play the surfaces", is an environmental-friendly and scalable concept that can be completely taken apart and re-configured. 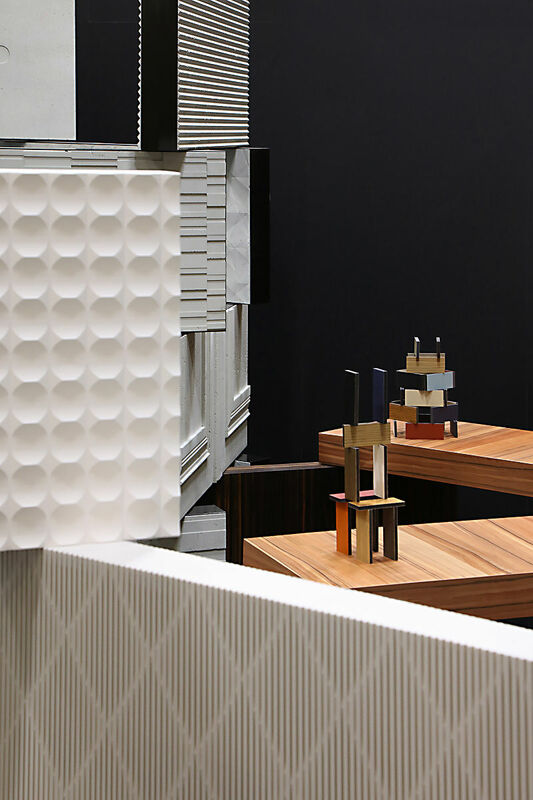 From now on, each new presentation will feature a specific version of the displayal set in order to showcase all the possible designs that can be inspired by the combination of materials. 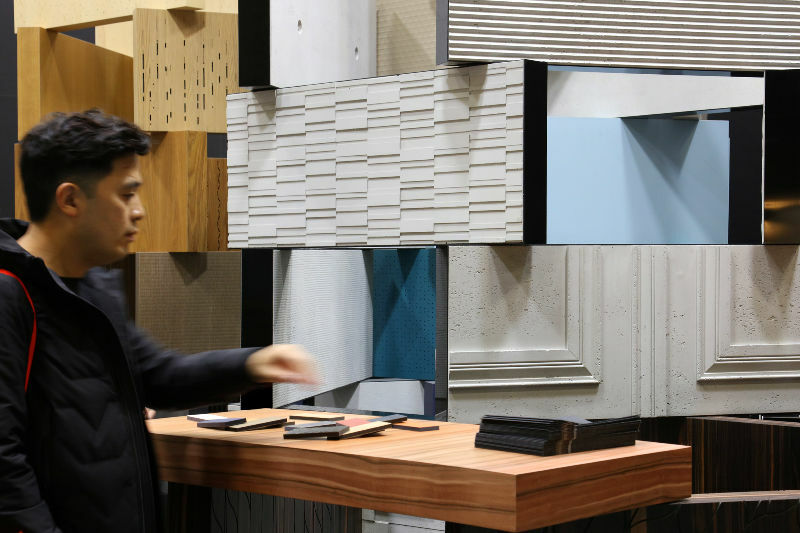 These presentations can be enriched over time as the collections grow and evolve.